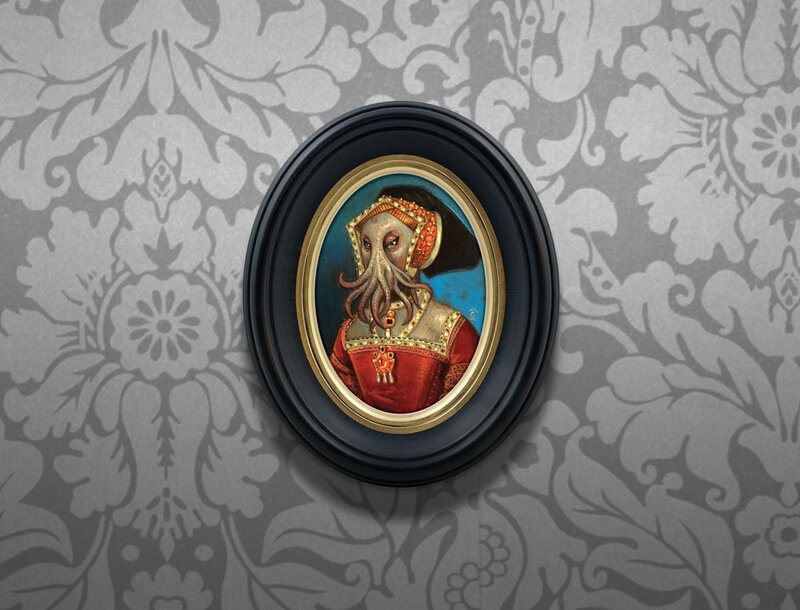 Hang your Cameo Creeps on the wall using frame putty or adhesive hanging strips. Set your Cameo Creeps on the bookshelf or next to your computer using custom made desktop stands. Keep your Cameo Creeps carded for maximum collectability and preservation. 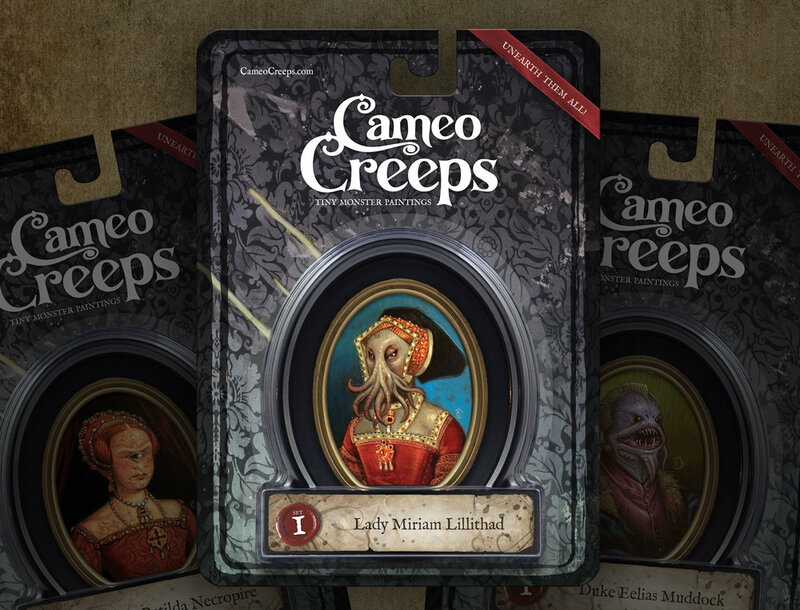 The appeal of Cameo Creeps goes far beyond amazing paintings. Consider how they will appear on your wall when grouped together. Come up with a unique configuration to create a display that's all your own! Below are just a few examples. The possibilities are endless!